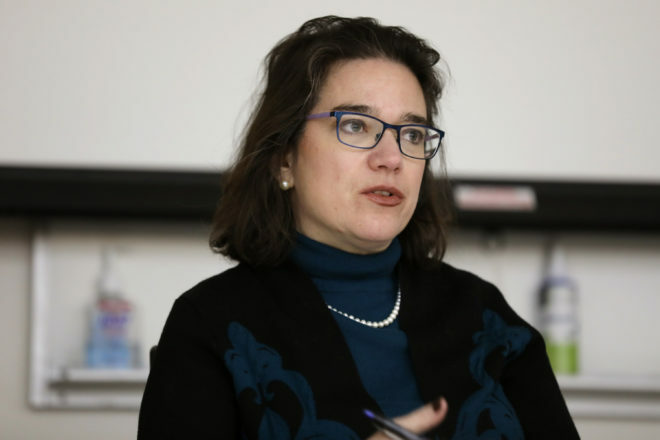 State Rep. Melissa Sargent (D-Madison) introduced bills to legalize marijuana in Wisconsin during each of the past three legislative sessions. Sargent says she has heard from many constituents about the benefits of using marijuana and the harm of marijuana-related arrests and convictions. She is seen at UW-Madison on Jan. 31, 2019. Photos by Coburn Dukehart / Wisconsin Center for Investigative Journalism. 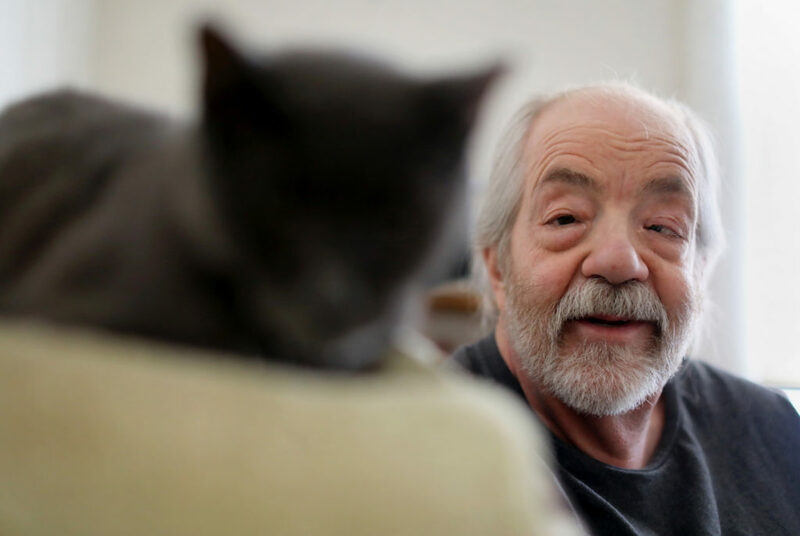 For decades, Storck, a longtime medical marijuana advocate from Madison, has been pushing the state Legislature to legalize his medicine. Storck suffers from glaucoma. He uses cannabis to slow the progression of the disease, which is gradually robbing him of his sight. In 2009, Wisconsin Democrats swept into power and took control of the governor’s office, the Assembly and the Senate. Medical marijuana was back on the table, with help from politicians including Sen. Jon Erpenbach (D-West Point). Political support seemed to be on the upswing. Although Wisconsin’s laws on marijuana have stayed largely the same – and federal law continues to ban use and sales – bordering states have begun to move on the issue. Illinois, Michigan and Minnesota have all legalized medical marijuana, with Michigan also legalizing recreational use in 2018. Democratic Gov. Tony Evers has announced proposals to legalize medical marijuana in Wisconsin, decriminalize possession of small amounts of the drug, allow expungement for possession charges and update state laws governing cannabidiol, or CBD, a non-intoxicating, over-the-counter treatment for anxiety, seizures and inflammation. Evers has also said he would consider legalization of recreational use if voters approved it in a statewide referendum. 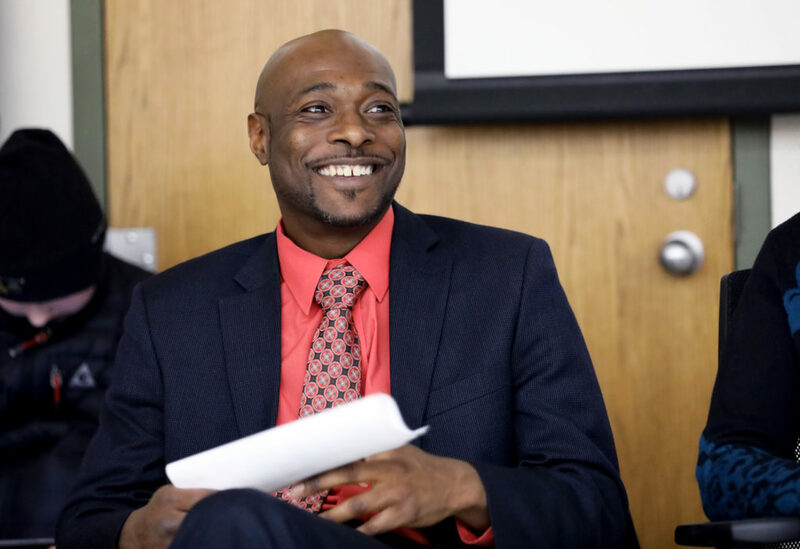 Evers’ proposals have been lauded by Democratic state legislators – and even some top law-enforcement officials – who have seen support for legalization grow in Wisconsin in recent years. In January, a Marquette Law School Poll found that 58 percent of Wisconsinites believe marijuana should be legalized and regulated like alcohol, with 36 percent opposed. In November, local advisory-only referendua in support of marijuana legalization were passed in large numbers across the state, including 16 counties and two cities. Whether the question was about medical or recreational marijuana, no measure passed with less than 60 percent support, and no measure was rejected. Voters in both the Village of Egg Harbor and the City of Sturgeon Bay approved nonbinding referenda in the April 2 election for both medical and recreational marijuana. Although Mahoney, a Democrat, has no problem with residents of Dane County who are “smoking a doobie,” he said statewide law-enforcement groups would oppose legalizing marijuana for recreational use. Mahoney said he has moved toward the center of the legalization debate – in part because members of his family use cannabis medicinally – but he does not support recreational marijuana at this time. Evers’ plan has also been endorsed by other Wisconsin top law-enforcement officials, including Chisholm, who believes the proposal could help to reduce disparities in how marijuana possession is treated around the state. Assembly Speaker Robin Vos (R-Rochester) opposes most of Evers’ plan. In an email, an aide to Senate Majority Leader Scott Fitzgerald (R-Juneau) reiterated his previous positions in opposition of legalization. Fitzgerald also has been quoted as saying he does not believe there is enough support within the Republican-controlled Senate for movement on the proposals. And there are groups, including Smart Approaches to Marijuana (SAM), that would likely mobilize if Wisconsin proposes legalizing the drug for recreational use. SAM spokesperson Colton Grace said the group pushes for alternatives in states considering legalization, including allowing medicinal uses as approved by the U.S. Food and Drug Administration. Alan Robinson, executive director of the Wisconsin chapter of the National Organization for the Reform of Marijuana Laws (NORML), said he uses cannabis to reduce symptoms of anxiety, depression and post-traumatic stress order, or PTSD, which he developed after the drug-overdose death of a close friend. Currently, the FDA has approved only one drug, Epidiolex, that contains an active component of marijuana. Epidiolex is used to treat seizures related to two rare syndromes. Three other FDA-approved drugs – Marinol, Syndros and Cesamet – contain synthetically derived components. Marinol and Syndros are approved to prevent weight loss in AIDS patients, and Cesamet treats nausea and vomiting in cancer patients undergoing chemotherapy. Rep. Melissa Sargent (D-Madison) says she has never used marijuana, but she has become the face of marijuana legalization in the past three legislative sessions. She has introduced legalization bills after hearing stories of the medical benefits that constituents have experienced and the negative consequences of marijuana-related arrests and convictions. People such as Storck, who have long been waiting for legalization, hope that 2019 is not a repeat of the past. The Cannabis Question is a series by the Wisconsin Center for Investigative Journalism that explores questions about proposals to legalize marijuana in Wisconsin. This is the first installment. Additional stories will be published throughout the year. Do you have a story to tell? Contact us at [email protected].